Two Quaker meeting houses have made it onto a list of the UK’s favourite churches. The list was chosen by a range of well-known people across the country including prime minister David Cameron, UKIP leader Nigel Farage, mayor of London Boris Johnson and Britain Yearly Meeting recording clerk Paul Parker. 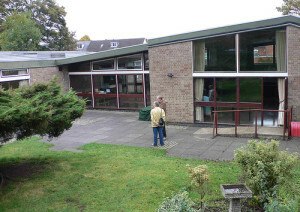 Paul Parker chose Cotteridge Meeting House in Birmingham as his favourite church because it “embodies Quakers’ commitment to becoming a low-carbon, sustainable community. Local Quaker Harriet Martin explained that Cotteridge Quakers have reduced their fossil fuel usage by 90% on 2004 figures. “We were driven by a concern for our planet and, more prosaically, by a desire to be comfortably warm in meeting. It has been a long process, explained Harriet: “In retrospect we can see that it was not so much that we ‘stepped out on to a road’; rather, we climbed onto a cycle. The cycle wheel went round and round, propelling our projects forward. We repeated time and again the same sequence: problem identification and analysis, Premises Committee suggestions, Business Meeting decisions, fund raising, action, feedback. Members of the meeting who consistently volunteered time and practical skills as well as finance were our energy source. Encouraging graphs emerged which drove the cycle forward again and again with new actions identified, analysed, agreed, acted on and tracked by electric meter. Our Quaker community was strengthened, energized and cheered time and again.” In total Cotteridge Quakers have spent £120,000 on their meeting house. Another Quaker, astrophysicist Jocelyn Bell Burnell, chose Brigflatts Quaker Meeting House in Cumbria, which has been a Quaker worship space since it was built in 1674. “Some of the worship over those centuries has seeped into the wall,” said Jocelyn. 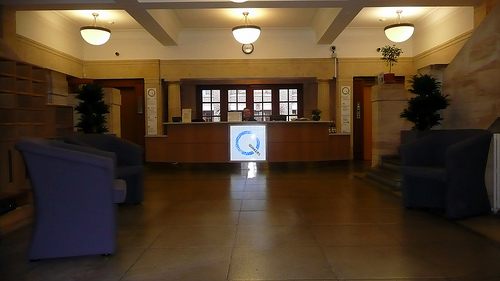 Quaker Meetings make use of the National Churches Trust to help pay for repairs. Earlier this year Stourbridge Quakers received a grant of £2,500 to help pay for work on their Grade II listed meeting house, which needed repairs to its roof and stonework.